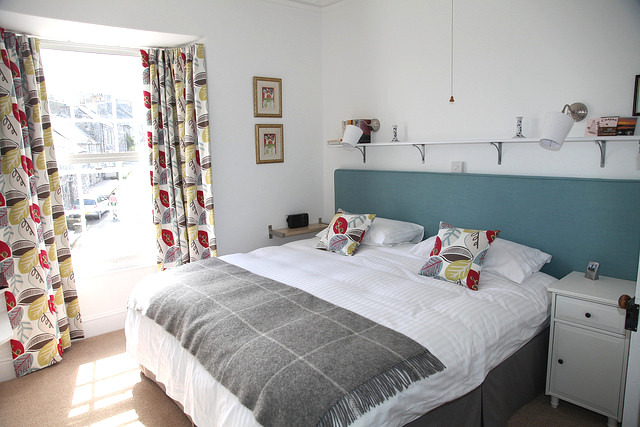 Located on the first floor, Bedroom Two can be a double or twin, and has views of St Mary's church, Newport's Norman castle and Carn Ingli mountain, in the distance. 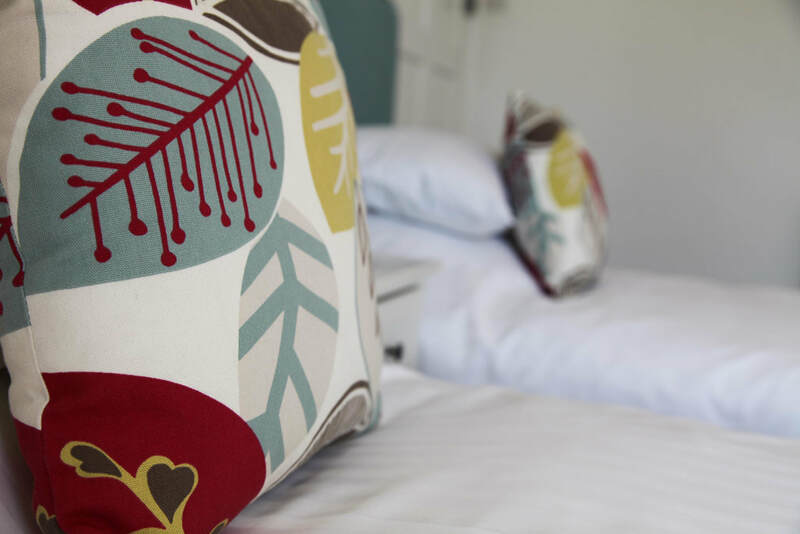 Like all our rooms, Bedroom Two is decorated in a light and airy style, with neutral sympathetic colours, making it a fresh and relaxing environment. We have kept where possible the original Georgian features, which give the rooms a balance between the traditional and modern. For more pictures please see our gallery. For the 2018 prices please see our tariff page or to book the room please click button. Superking sized bed ( which can be converted into twin beds). Woolen Blankets for colder nights. Integrated wardrobes, with sufficient hanging space. En-suite facilities comprise of shower, toilet and sink. 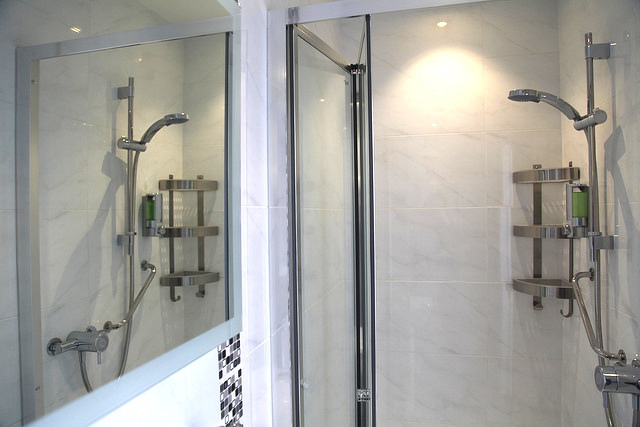 Large shower, with low riser tray for easy access. Selection of complimentary Mason & Miller toiletries. Selection of books and maps.